Manufacturer of a wide range of products which include motorized lubrication unit, electronic controller, electric motor lubrication system and motorized lubrication system. 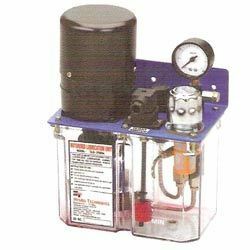 With our expert team of professionals, we are able to offer a qualitative range of Motorized Lubrication Unit. 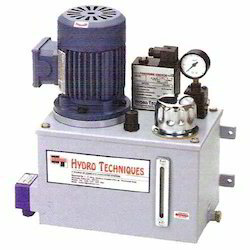 These motorized units are mini hydraulic power packs in which a rotary positive displacement pump that hold low discharge is driven by an electric motor. Further, these units are designed to suit for single shot centralizes lubrication system. We are offering an excellent range of Electronic Controllers which is extensively used in making pumps run periodically. 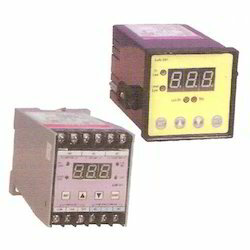 These electronic controllers or timers are efficiently used in switching on the motor of lubricating pumps as well as it sense that the pressure signal is turned off. In addition to this, the pump remains off according to the time set in these electronic controllers and then ultimately starts accordingly. Apart from this, these products give warning regarding the refilling the oil into tanks, when the level of the oil becomes critical. We have emerged ourselves as a leading manufacturer, supplier and exporter of an excellent range of Electric Motor Lubrication Systems. Manufactured using high-grade raw material procured from the authentic vendors of the market, these products are highly used in various applications in different industries. Further, we stringently test these products on various parameters to ensure flawless range of products. 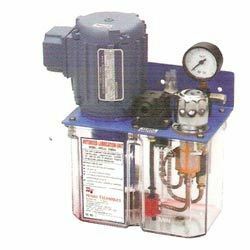 We have established ourselves as a leading manufacturer, supplier and exporter of an excellent range of Motorized Lubrication System. Manufactured using high-grade raw material procured from the authentic vendors of the market, these products are highly used in various applications in different industries. Further, we stringently test these products on various parameters to ensure flawless range of products. Looking for Motorised Lubrication System ?